Lloyd Blankfein is retiring from Goldman Sachs after 36 years with the banking behemoth, 12 of them as chief executive officer. In a memo to Goldman employees, the departing 63-year-old CEO and chairman announced David Solomon, company president and co-chief operating officer, as his replacement at the end of September. 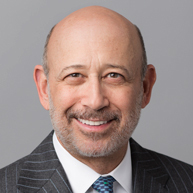 When he leaves, Blankfein will support the firm as a senior chair. The departing executive called his successor, Solomon, 56, “a terrific partner.” Blankfein touted Solomon’s success as COO and division head. Solomon’s promotion should trigger a series of management changes as he elects his lieutenants. In addition to inheriting a plan to grow the bank by $5 billion in three years, he is a big backer of the firm’s consumer finance initiative and improving gender equality within its ranks. Blankfein started as a commodities trader, taking the executive reigns in 2006. Since he became CEO, Goldman’s total net profit has been $92 billion, Quartz at Work reports. The announcement came as Goldman revealed its second-quarter results, where the banking titan reported $9.4 billion in net revenue and $2.57 billion in net earnings. As of December 31, 2017, Goldman Sachs managed $916 billion in assets.